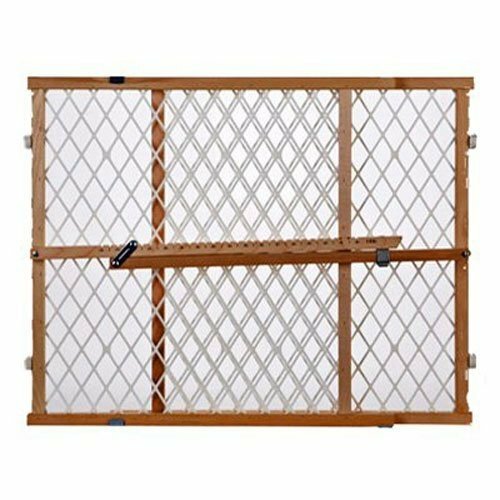 North States Supergate Diamond Mesh Pressure Mount Wood Gate from North States North States Diamond Mesh Gate will easily and effectively keep your kids inside while at the same time, complements your home decor. 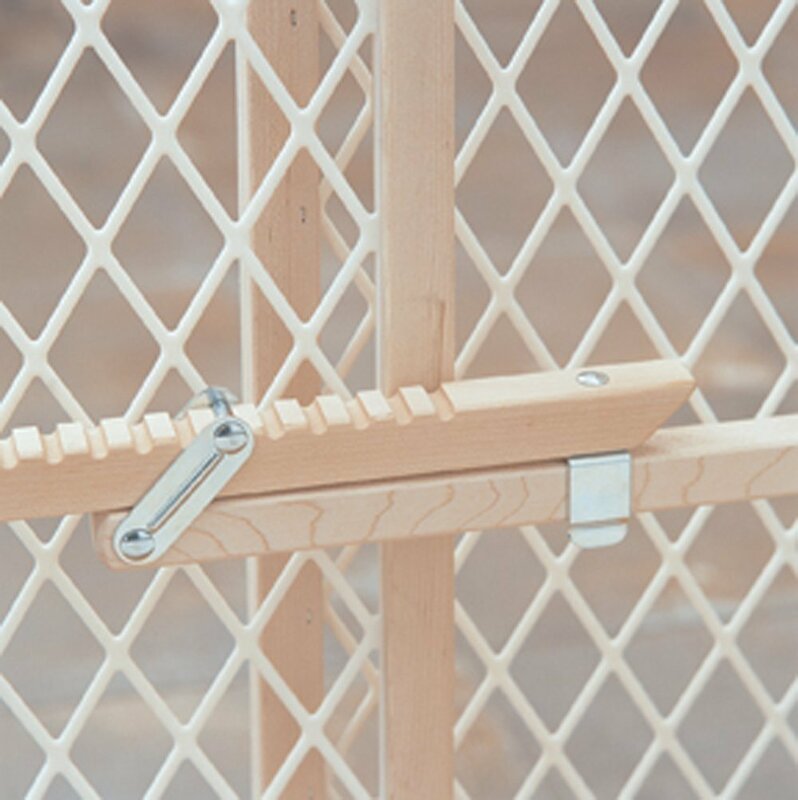 The gate is pressure mounted and can easily be locked in position. 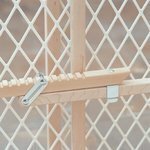 It locks with absolutely no measuring required. Ideal for bottom of stairs and between rooms. 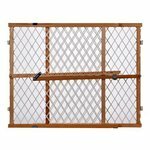 Made in the USA with a sturdy hardwood frame, the North States Gate Diamond Mesh Gate is designed with rigid mesh panels with no-mar rubber bumpers, giving you absolutely peace of mind. Fits openings 26.5" through 42" wide. Gate is 23" high. 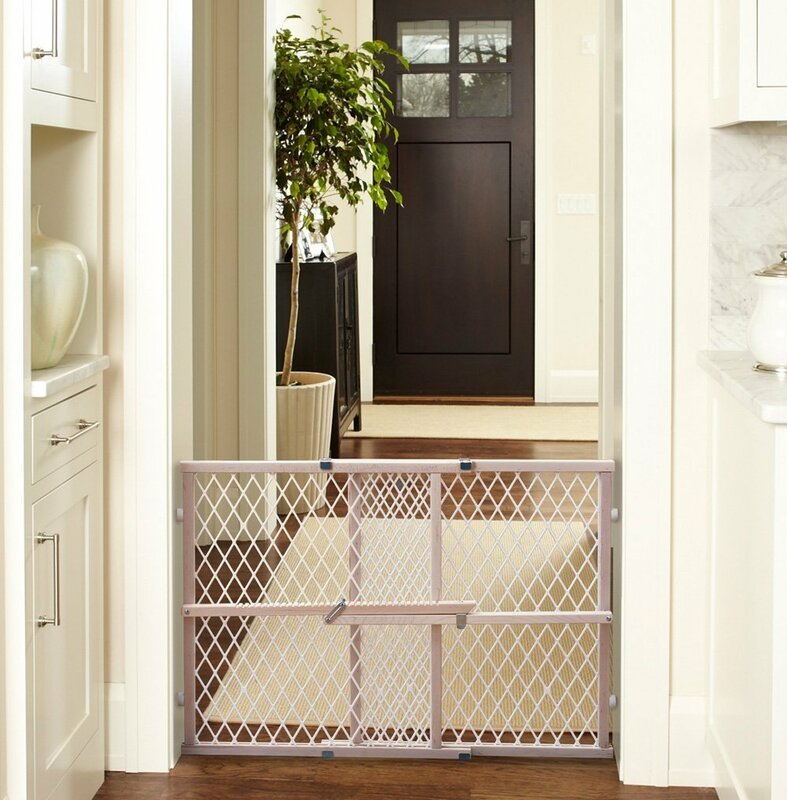 Please note that pressure mounted gates may seem defective in first glance, but they will work fine if they are installed correctly as per the printed instructions. We are here to assist you if you have any questions about a product. We have been selling online for several years and pride ourselves in our customer service and satisfaction. Please review our feedback to see what others say about us. Please contact us by the E-bay Email System. Monday to Friday 9:00am - 5:00pm EST with any questions you may have regarding your order, product, application, or any technical question. All pictures in posting are owned by Daily Drops and no copy or distribution is allowed. We are currently only accepting payments through PayPal. Since is the fastest, easiest and most reliable method of payment.A 8.875% NY sales tax will be charged for items bought by any individual or company residing the state of New York, or when the ship-to address is located in the state of New York. Your item will be shipped within one business days of receiving your cleared payment. Orders will not be shipped until item(s) are paid. Orders made before 2:00pm EST it will ship the same day. Orders made after 2:00pm EST will not depart later than the next business day. Orders completed after 2:00pm Fridays will be shipped the following Monday. We do not ship during weekends. If item is free shipping, we use several different carriers and will ship your item the most economical method based on your address. We use ground services. If you need an express or priority service, please choose it from the shipping options, if not available let us know prior to payment so that we can issue an invoice that reflects the additional shipping. We accept "buyer's remorse" returns of items if the factory seal has not been broken and the item has not been Used. Please contact us for instructions within 7 days of receipt. For more information on returns please go to item posting, click on the shipping tab and review the return policy. Return must be in original condition and with original packaging, the product MUST NOT be worn or used. In the unlikely event that we have shipped the wrong item, we will offer a refund of entire purchase or resend you the correct item with a call tag for the wrong item sent. Please contact us immediately clicking on “CONTACT SELLER”. for instructions.We are here to help. We will process all damage claims with the carrier and may request that you return the item. Please retain original shipping containers and notify us immediately if you suspect damage in shipment.